Stagecoach South East recommenced operation of Thanet’s open-top bus for another season last weekend. It will operate to the same route as last season between Ramsgate Boating Pool and Broadstairs Stone Bay. 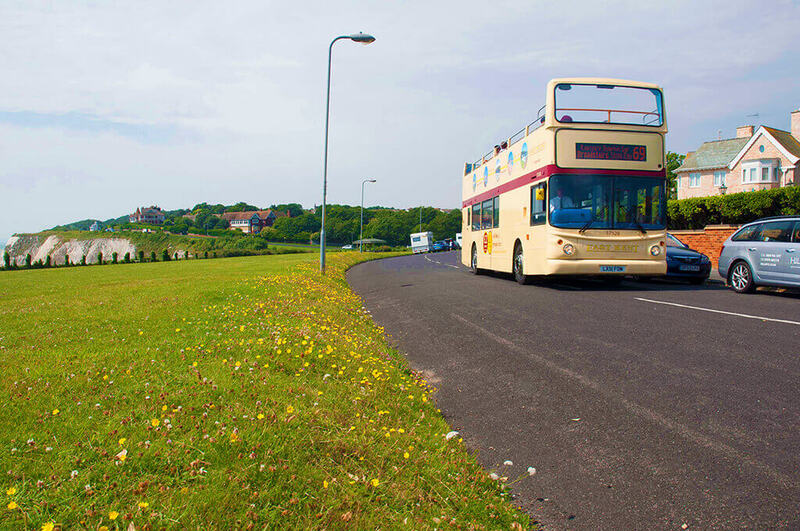 The Alexander ALX400-bodied Dennis Trident, which is painted in East Kent livery, will operate an hourly frequency from 0900 until 1757hrs at weekends up to 29 September and every day during school holidays. Joel Mitchell, the new Managing Director of Stagecoach said: “Thanet has an incredibly vibrant seaside culture with so much to see and do. We’re proud to offer something that’s become a big part of that.